A cute demon vassal of Overlord Laharl who lives in the Overlord Castle. She was found by King Krichevskoy when she was young and has lived there since serving the overlord. 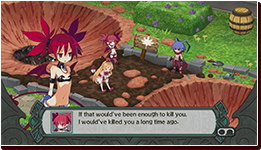 She looks up to the now deceased Overlord Krichevskoy, but she has zero respect for Laharl. She has a very dry personality and lives a very free life as a vassal. 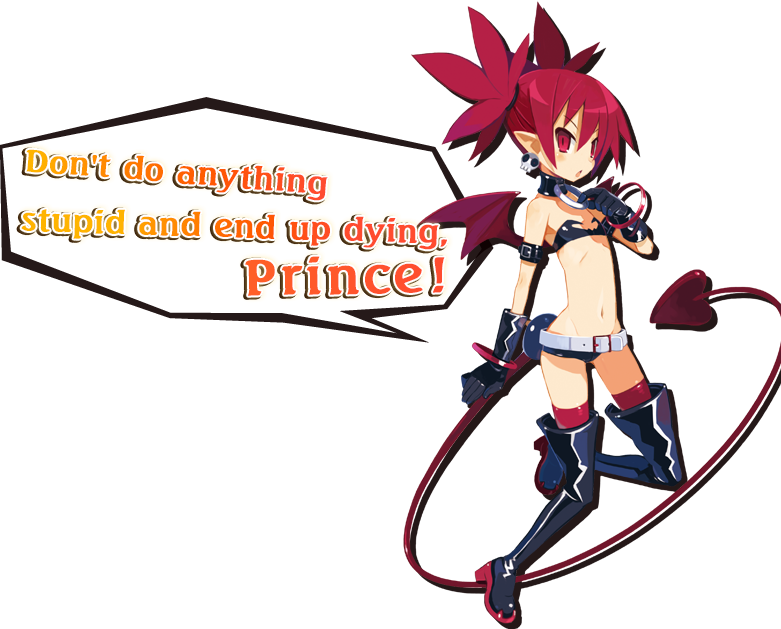 She is always the point strange things out, and she has no fear of pointing out things at Laharl, her master.